Few things fire the imagination like a mystery at sea, where distances are vast, the heart of the deep is fickle, and ships and crews meet their end in ways upon which we can only speculate. 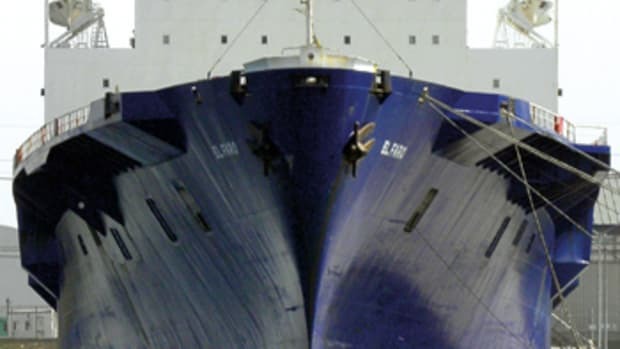 Ships are lost or abandoned; crews disappear; ghost ships drift through fog-shrouded water; skippers go missing or, as we have just seen in the news, are found adrift and mummified. In The Mirror of the Sea, Joseph Conrad writes: In the word “missing” there is a horrible depth of doubt and speculation. Did she go quickly from under the men’s feet, or did she resist to the end, letting the sea batter her to pieces, start her butts, wrench her frame, load her with increasing weight of salt water, and dismasted, unmanageable, rolling heavily, her boats gone, her docks swept, had she wearied her men half to death with unceasing labor at the pumps before she sank with them like a stone? 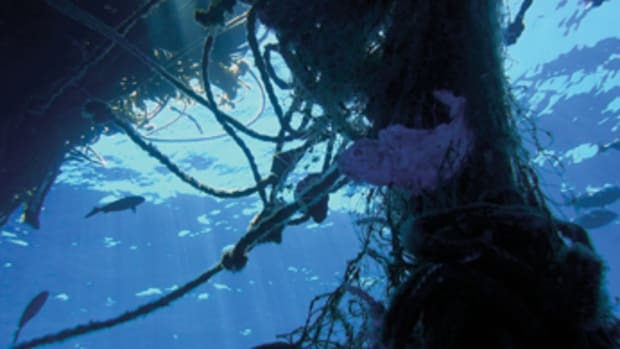 Here are two sea mysteries to ponder. 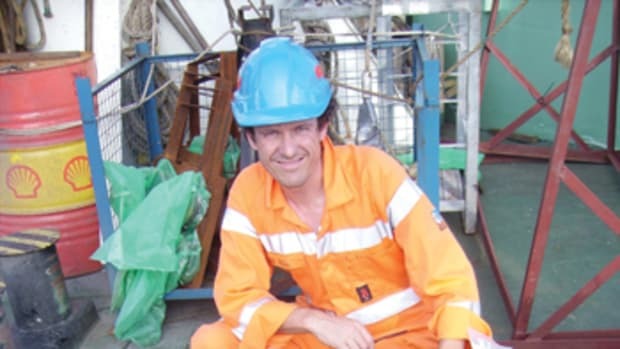 Two Filipino fishermen found Manfred Fritz Bajorat’s mummified body the weekend of Feb. 27, hunched over the navigation table of his dismasted Sun Magic 44, Sayo, as it drifted 60 miles off Barobo in the southern Philippines. It had been seven years since Bajorat had last been seen and a year since he sent a message to one of his friends over Facebook, according to London’s Daily Mail. What happened? How long had Bajorat been adrift? This spectral discovery was thought to have been the first sighting of the disabled cruising yacht, but 12 days later the crew of LMAX Exchange, a 70-foot sailboat competing in Sir Robin Knox-Johnston’s Clipper Round the World Race, released a statement on the race’s website, clipperroundtheworld.com, that they had come upon Sayo and its lone occupant Jan. 31. The sighting was 650 nautical miles east of the Philippines while LMAX Exchange was racing from Australia to Vietnam. The crew stopped, and one member swam out to Sayo, where he found Bajorat as the fishermen would also find him — at the nav table, body hunched forward, head resting on his right arm next to the radiotelephone. LMAX reported Sayo to the U.S. Coast Guard in Guam and to Clipper Race director Justin Taylor, who notified the German Embassy in London. They informed the German police and Coast Guard, who identified the sailor and his next of kin — a daughter — from the boat’s registration. All of this was still under wraps, however, when Christopher Rivas y Escarten, 23, and a friend boarded Sayo off the Philippines, found the corpse and towed the boat to Barobo, Surigao del Sur, for police to investigate. 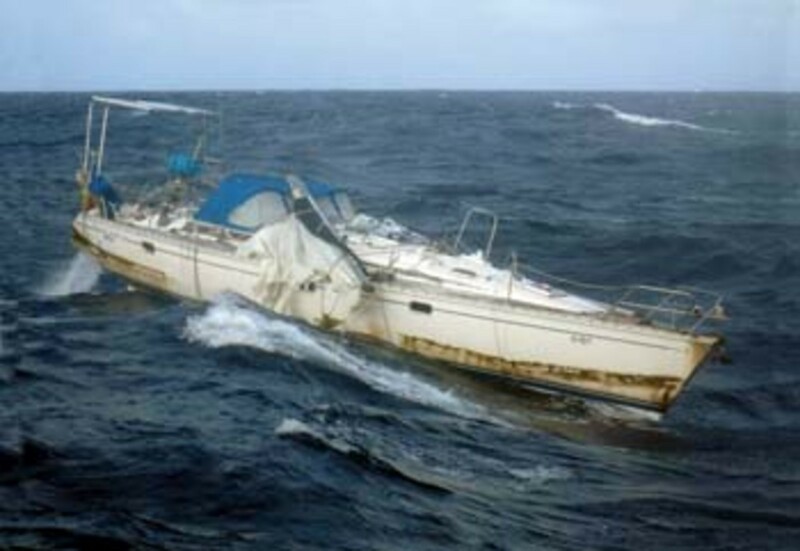 Reporters initially speculated that the boat might have been adrift for some time because investigators could document no contact with friends, family or other cruisers after 2009, but the Philippine crime lab autopsy suggested otherwise. “The cause of death is acute myocardial infarction [heart attack] based on the autopsy by [the] regional crime laboratory,” Philippine National Police Chief Superintendent Wilben Mayor said. It appeared the heart attack had occurred seven days, “more or less,” before the body’s discovery off the Philippines, he told reporters. Clearly that timeline requires revising after the report from LMAX that Bajorat had been dead since at least Jan. 31 — and probably before that because the LMAX crewman who boarded Sayo reported that his body already was mummified. It is still unclear when Bajorat died. Tins and rubbish were strewn about the cabin, along with aging photo albums of friends and family that had been damaged by water sloshing inside the boat. 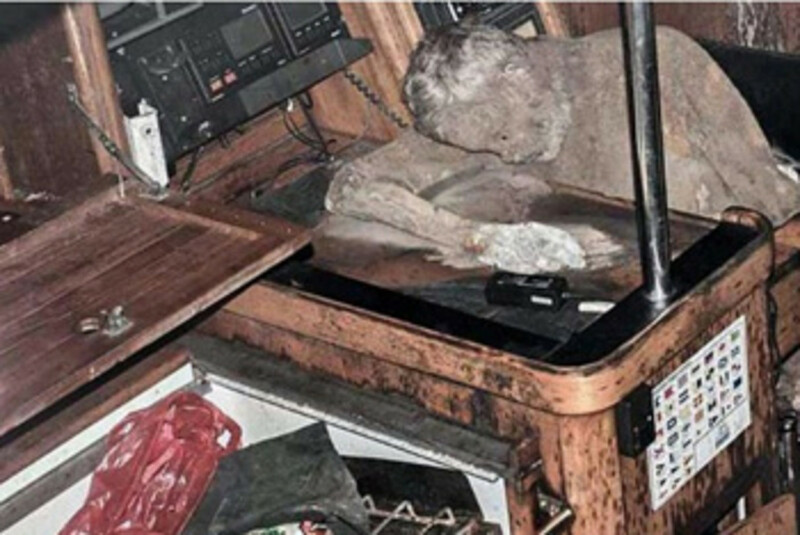 Did the dismasting and the disarray below deck occur before or after Bajorat died? There was no answer to that question. And the condition of the body? 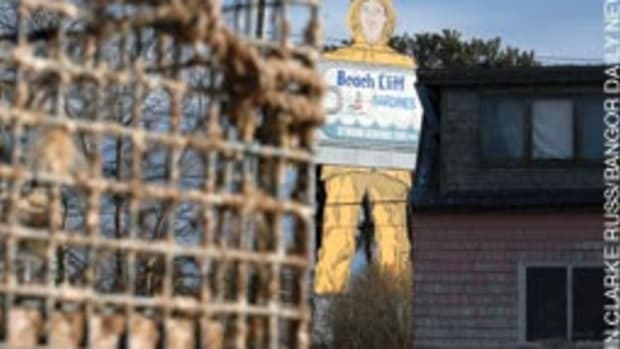 Forensics experts tell reporters that the salty air — made hotter and drier in the western Pacific by El Niño — promoted dehydration and desiccation of the corpse, rather than decomposition and putrefaction. Inside a boat adrift on the sea, the body was protected from the depredations of birds, insects and vermin. Bajorat, a former insurance salesman from Twisteden, Germany, harbored a deep and abiding love of the sea. He lived with his wife, Claudia, and daughter, Nina, on a houseboat in Holland so his daughter could live a “normal” life during her school years. Twenty years ago, after Nina finished her schooling, Bajorat and his wife — also a sailor — went cruising. In 2008 Claudia, evidently tired of cruising, settled in Martinique and in 2010 died of cancer. For an even darker look at single-handing, we go back almost 50 years to the 1968-69 Sunday Times Golden Globe Race and the solo voyage of Donald Crowhurst. A British electrical engineer, Crowhurst saw the first non-stop round-the-world race as his ticket to the fanfare and prize money he needed to shore up his failing business, which designed and built direction finders for navigation, and rekindle his aspirations of success. 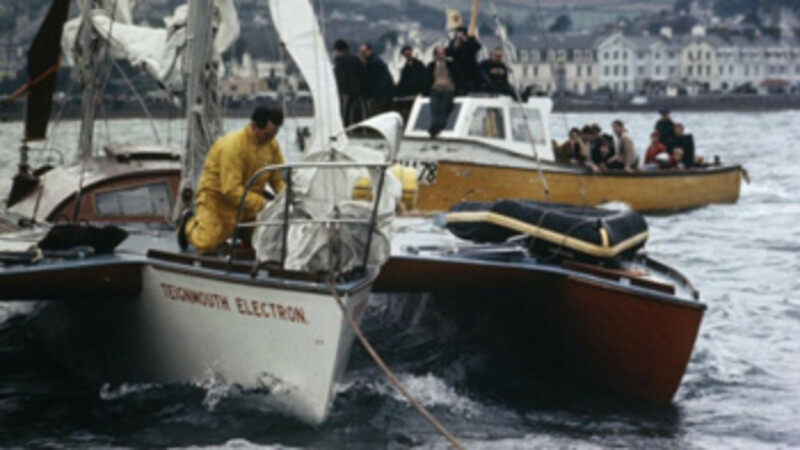 At 7:50 a.m. on July 10, 1969, the crew of the Royal Mail vessel Picardy, bound from London to the Caribbean, found his 40-foot trimaran Teignmouth Electron drifting in the Atlantic under a mizzen sail, 2,000 miles southwest of England. Reporters Nicholas Tomalin and Ron Hall give a gripping account of Crowhurt’s demise in The Strange Last Voyage of Donald Crowhurst. Late in building a boat for the start of the race, the 36-year-old businessman had convinced himself and his principal backer, Stanley Best, that the Arthur Piver-designed trimaran was the way to go, though the weekend sailor had never sailed a trimaran and the design was unproven for solo distance racing and the perilous Southern Ocean. In mid-May 1968, with the clock ticking toward an Oct. 31 deadline, Crowhurst still had no money to build a boat. Bright, articulate, self-confident, though lacking in common sense, he finally persuaded Best to fund the construction. Over the next five months Cox Marine Ltd. and L.J. Eastwood Ltd. built Teignmouth Electron while Crowhurst worked on safety features he thought could prevent the trimaran from turning turtle in the Southern Ocean or right it if it flipped. Construction delays pushed Teignmouth Electron’s launch back to Sept. 23. Sponsorship was almost non-existent, so Crowhurst had to move forward “on the cheap.” His safety mechanisms — an automatically deploying anti-capsize buoyancy bag at the top of the mast, a water ballast float to right the vessel if she flipped and a “computer” to warn when the trimaran was in danger of capsize — never materialized. On her first sea trial, Oct. 2, Teignmouth Electron’s ability to sail to windward was said to be far worse than most catamarans — 60 degrees to the wind at best. Against wind and tide, she was a lumbering barge. Preparations for the start were chaotic, spare parts were forgotten and left behind, and essential gear and supplies never made it aboard. 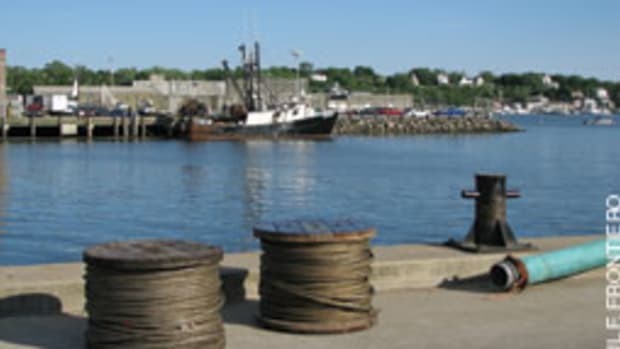 When Crowhurst sailed out of Teignmouth Harbor on Oct. 31 for the start — the last of nine skippers that included Robin Knox- Johnston (the only sailor to finish the race), Bernard Moitessier and Chay Blyth — neither he nor his boat were ready to sail around the world or take on the notorious Southern Ocean. 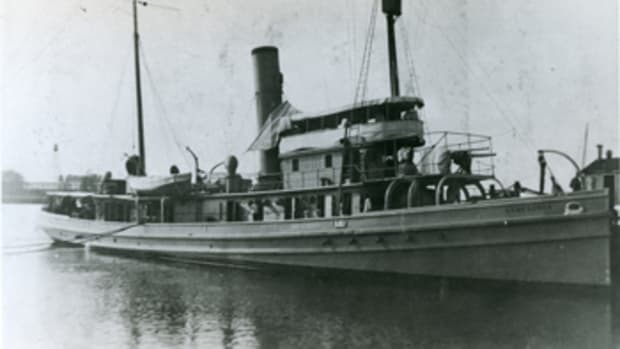 When the Picardy stumbled across Teignmouth Electron adrift July 10, its boarding party found no one aboard, just two days’ dirty dishes in the sink and three radio receivers — two in pieces — on a table and a shelf. The life raft was where it was supposed to be, as were the neatly folded sails. There were no signs of an accident or struggle. The last entry in the navigational log was on June 24, the last radio log entry June 29. The ship’s crew hoisted the vessel aboard, searched for survivors and, recalling that Teignmouth Electron had gone missing in the Golden Globe, cabled to England that it had found the boat — without Crowhurst and under mysterious circumstances. Tomalin and Hall undertook an exhaustive analysis of Crowhurst’s logs, one of which was missing. Sailing south along the Horn of Africa on Nov. 17, Crowhurst noted in the log that the hatches were leaking, he hadn’t been able to seal them, the trimaran’s hulls were filling with water, and he had no piping on the boat to connect to his pumps for dewatering. He noted darkly that he had a 50/50 chance of making it through the Roaring 40s to Cape Horn and a 6-in-10 chance of capsizing. He wrote that his options were to push on, retire to Cape Town, sail to America and sell the boat or try to return to England. However, he mentioned none of this in a radiotelephone call to his wife, Clare, that same day. He didn’t want her or others to know about his desperation. Based on the reporters’ analysis of the logs, by December Crowhurst had begun to fake his entries to show better progress than he was making; he had taken longer to reach Cape Verde than any other competitor. On Dec. 10 he sent a telegram to England asserting that he had sailed a world-record one-day solo distance of 243 miles. Eleven days later, he discovered that the skin on his starboard hull had split, a development that almost certainly would have torpedoed any attempt to finish the race. Again, Crowhurst shared none of this with anyone. 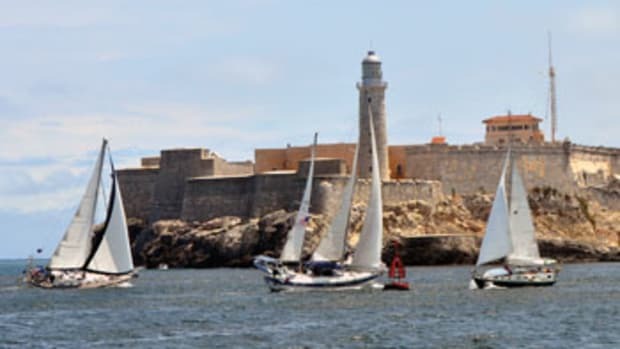 While clinging to the desperate hope that he could somehow repair the boat and get his voyage back on track, he eventually adopted the only alternative to quitting: keeping one set of true logs while he hung out along the east coast of South America and faking a second set showing him sailing around the world. Meanwhile, Crowhurst had begun to write a kind of apologia in his logs, a mishmash of scientific-philosophical-pyschological sophistry that reflected a mind that was becoming unhinged while trying to explain to himself and to others why he had embarked on this elaborate deception. In the end, Crowhurst knew he would probably be caught, and he knew he had broken the rules, the reporters concluded, including putting ashore in Argentina to make repairs. Crowhurst writes these last entries in his log: “It is the end of my game the truth has been revealed.” And “It is the time for your move to begin … I have no need to prolong the game.” Nine days later, a lookout on Picardy sighted Teignmouth Electron. Some have suggested that Crowhurst is alive in South America. Or that in his deranged state he fell overboard. “It will never be possible to finally disprove such speculations,” Tomalin and Hall noted, but the evidence points elsewhere. Mired in his grandiose scheme, Crowhurst probably took his own life. 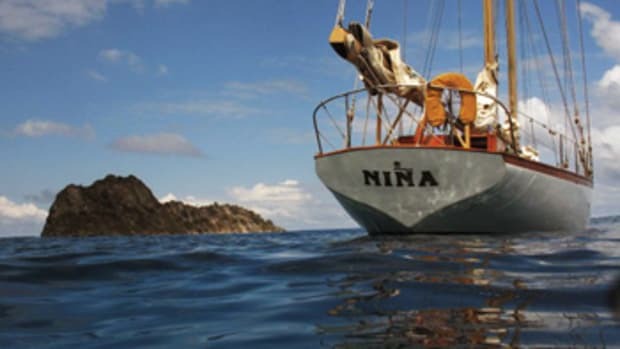 In next month’s Part II, we’ll revisit the disappearance of the sailing yacht Niña in 2014 and repeated sightings of the ghost ship of the Arctic, S.S. Baychimo. Lost at sea: Will the questions around the sinking of El Faro ever be answered?